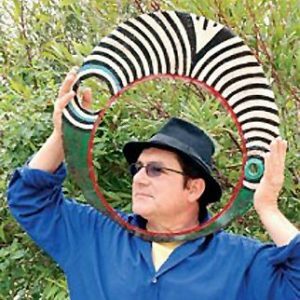 António Alonso was born in Dalatando, in Kuanza Norte (Angola) in 1960. He lives and works just outside the village of Barão de São João, in the borough of Lagos, Algarve. From Africa, he brought the aromas of the earth and colours of the fruits - showing us that within the translucent red of a Brazilian Cherry (Pitanga) there shines a rainbow. António Alonso's imagination was fed from childhood games on farms - where toys were made from nothing; from time and space, and fantasy unleashed in a world far from the stereotyped images of television. His return to Portugal in 1975 cut-short the glorious horizon - and adapting to his new home was difficult. He came to stay first in Coimbra. The rich ochres and iron oxides of Africa gave way to shades of grey. 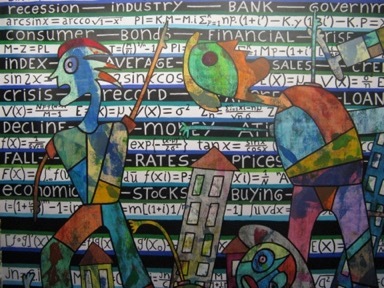 Perhaps in order to hold on to the rainbow in his mind, Alonso began painting in 1978. In 1981 he headed south, in search of clarity - and found it in Barão de São João. Here, he established close contact with the longer-standing inhabitants of the village, and became part of the rural environment. His painting was perfectly hidden among the onions, cabbages and garlic… But slowly life took him further - and farther away from country life. He began being noticed in Lagos in the year 2000. 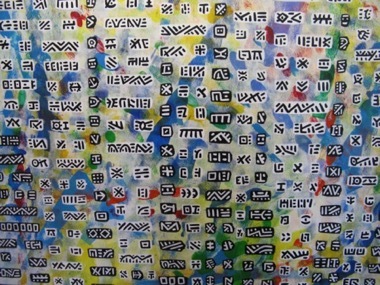 In 2005, he exhibited his paintings in the Cultural Centre of Lagos - finally revealing his "secret". The exhibition was to act as a springboard: Among a number of subsequent individual and collective exhibitions, his show "Registos" at Lisbon's Galeria Novo Século was particularly significant. In 2008, Alonso travelled to Cape Verde where he helped construct a house with the artistic community known as "Os Rabelados". Later, on another trip, this time to the East in 2009, he painted murals for the "Design Festa" gallery in Tokyo. During his most recent trip, to New York - also in 2009 - he took part in a workshop with The Art Student League. In 2010 with fragments from this experiences Alonso show “Journeys and other Africas” in Palácio da Galeria –Tavira. 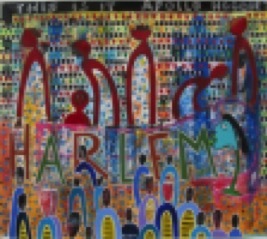 He returns to New York and make a solo show in Gallery M “Extra in Harlem” and integrate the group BWAC (Brooklyn Waterfront Artists Coalicion). With his paintings, António Alonso creates his own personal hemisphere, marked with all the geographical coordinates. To achieve this, he has had to travel. As he says: "I go away, in order to return".